Although this is our best-selling mug, it may not be the one for you. 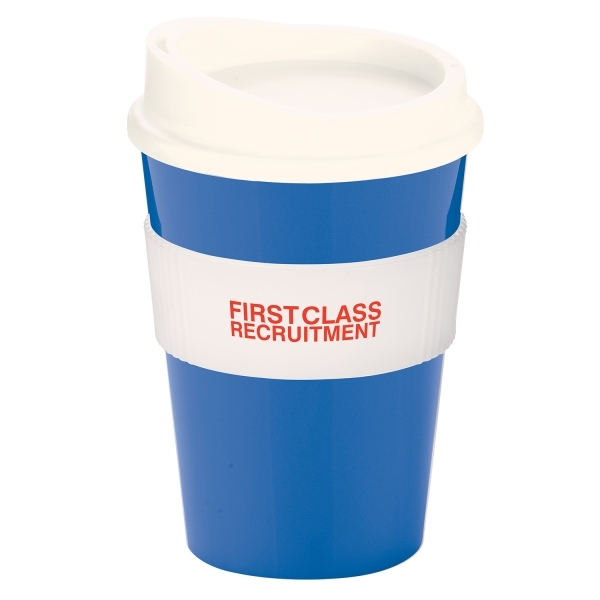 If that’s the case then check out the full range of travel mugs. 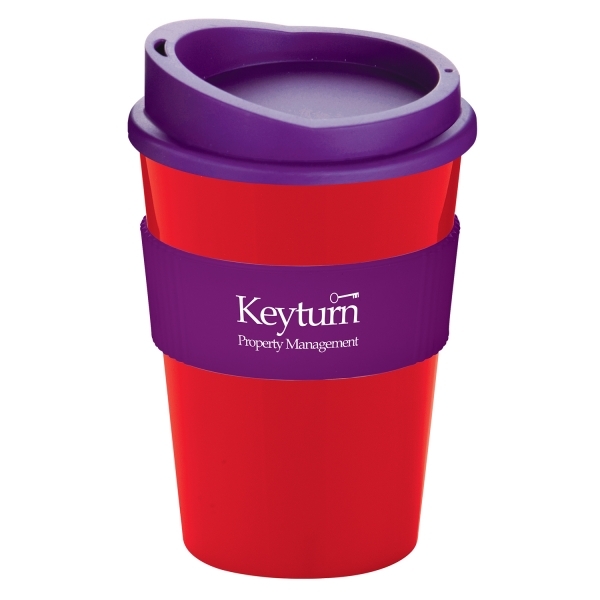 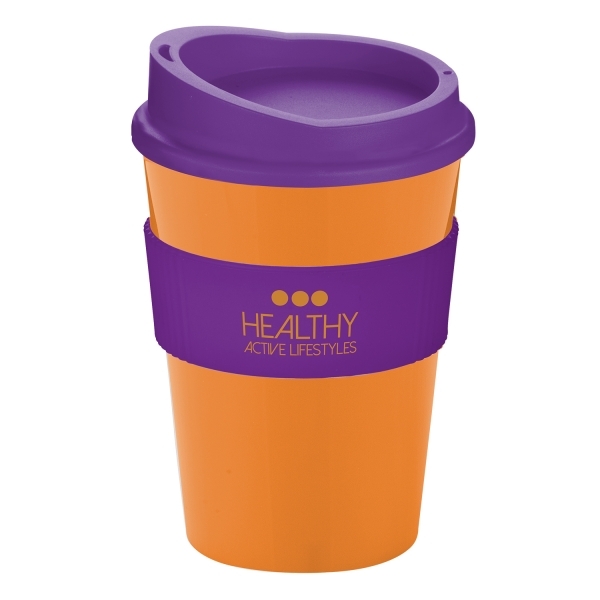 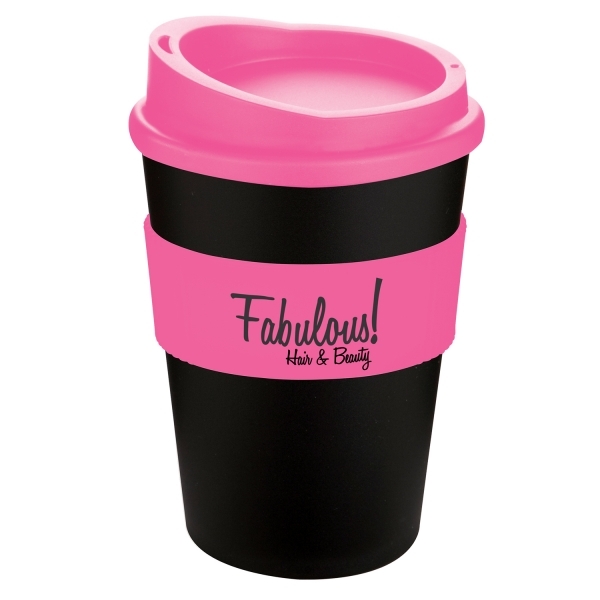 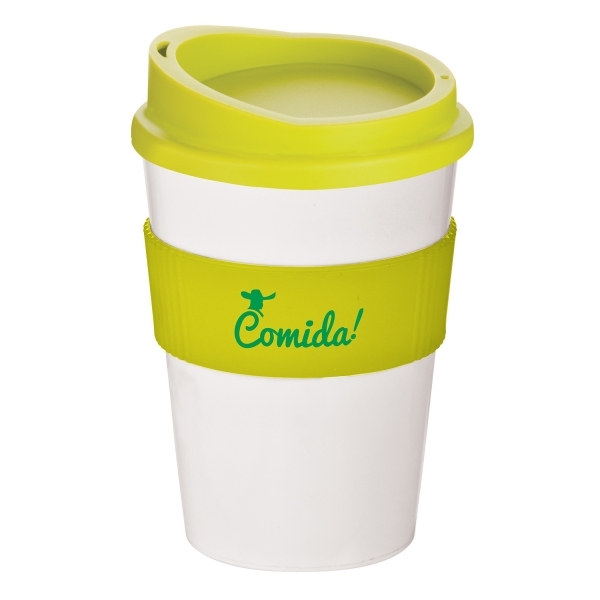 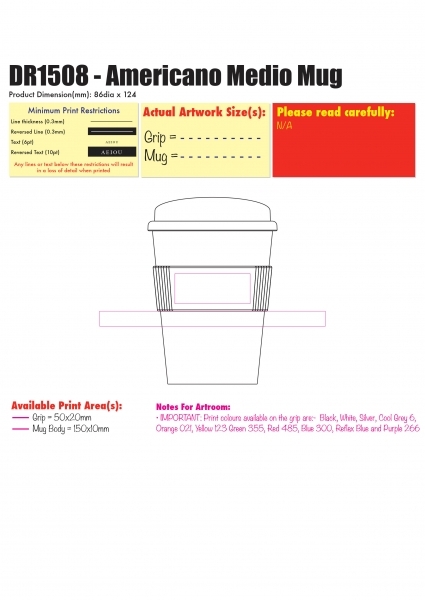 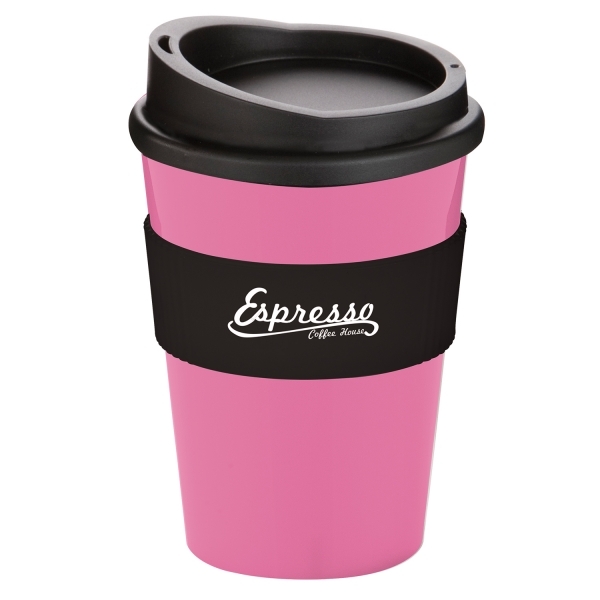 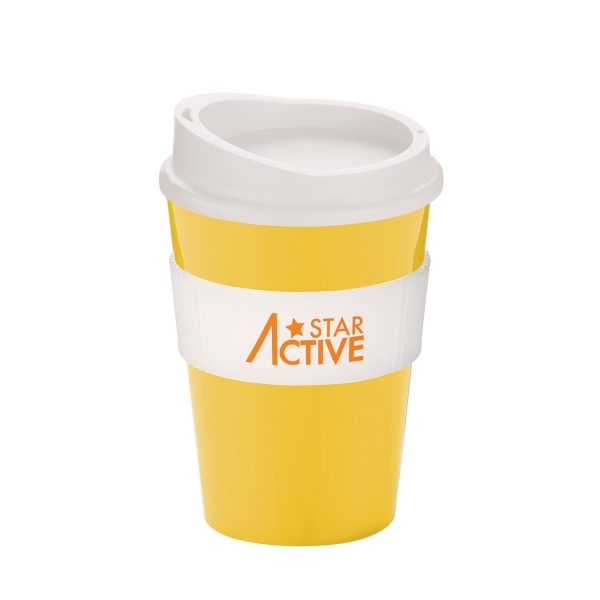 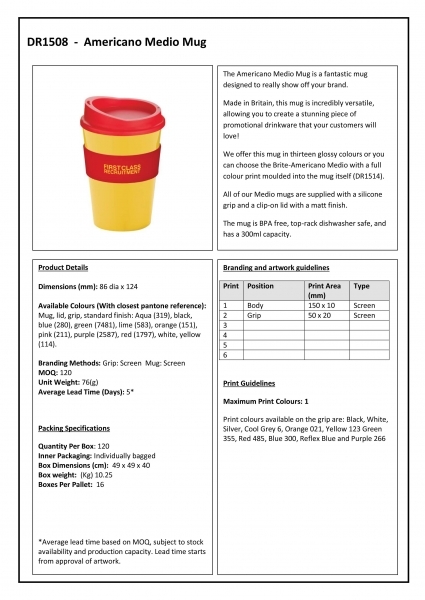 Available Colours (With closest pantone reference): Mug, lid, grip, standard finish: Aqua (319), black, blue (280), green (7481), lime (583), orange (151), pink (211), purple (2587), red (1797), white, yellow (114).